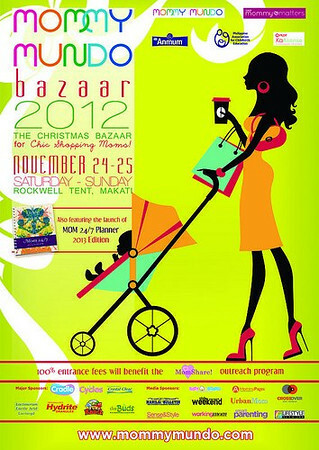 Mommy Mundo is holding its Christmas Bazaar at the Rockwell Tent this coming weekend, Nov 24-25, 2012. It may not be the place to look for marshall haze 40 guitar for your little achiever, but there are enough wooden toys from WonderWorld Toys, or really pretty dresses by Dizzy Dress, and even prettier bows from Celestina & Co. Looking for cheaper breast pumps? Babymama is the booth to visit. What about pregnancy and maternity clothes that are fab and comfy? Then, proceed to Mama.Baby.Love's booth and look through slings and cloth diapers while you're at it. 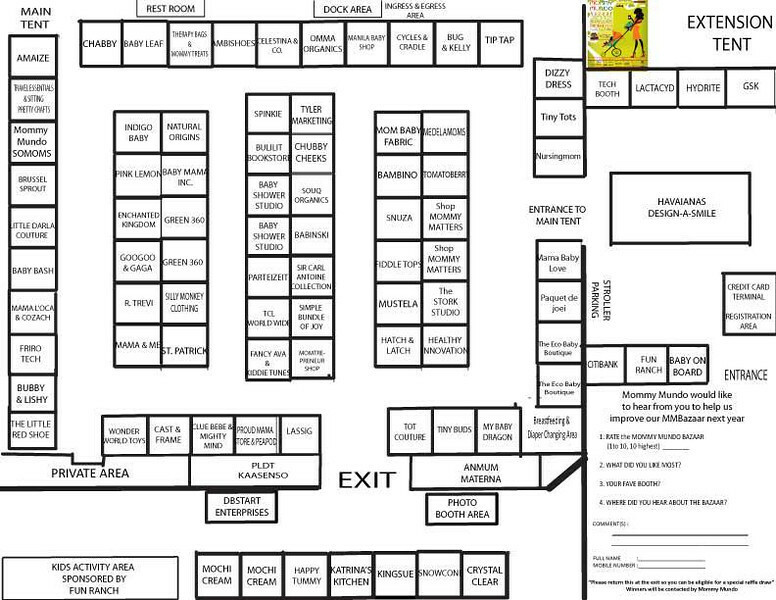 Download and print this map and have the vendors sign it when you visit their booths. When you complete at least 20 signatures, just submit the form at the exit, and get a chance to win wonderful prizes (Baby 1st Stroller, Mommy Matters nursingwear, Havaianas flipflops, and more:) at the Mommy Mundo Bazaar raffle draw! For a list of exhibitors and other things one can expect at the expo, click here.